Congratulations! You’ve done the job. You did plenty of research, sourced your product, and went through the whole process of importing it. Now, your goods are on a boat (or plane) and headed to the nearest Amazon fulfillment center. Of course, that’s not the end of the game. You still have to make sure these suckers sell. And frankly, the only digital marketing strategy that you’ve been told about is Amazon PPC. Look, I’m not going to beat around the bush here. It’s a competitive market out there. And don’t get me wrong–Amazon FBA Private Label is still the most profitable and risk-averse form of creating income online there is. But if you want to really succeed, then you need to be willing to go above and beyond the basic Amazon seller framework and go one step beyond what your competitors are doing. Amazon PPC will definitely get you a ton of sales, so don’t just put it to the side. 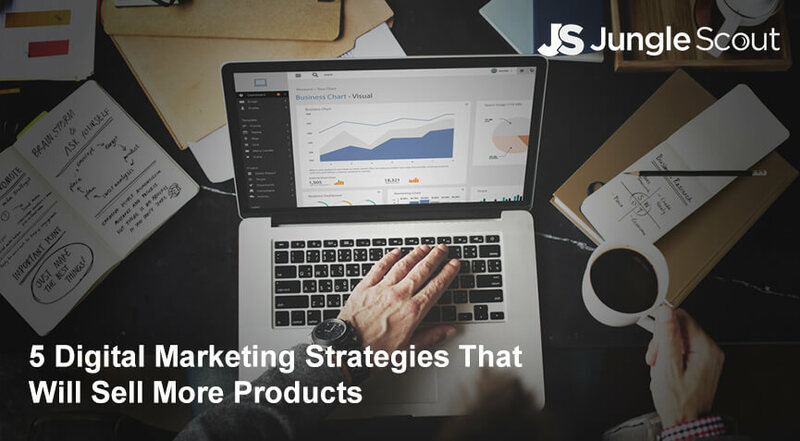 But adding in these digital marketing strategies will not only help you at launch, but help you increase sales, build brand awareness, and help set up future products for success. Over the years, as I’ve sold products online–Amazon or otherwise–I’ve discovered that there’s a lot of different ways to skin that proverbial marketing cat. Some work well. Others don’t. In the end, I’ve narrowed down to five simple ones that I think can do a lot for a product regardless of how long its been around. 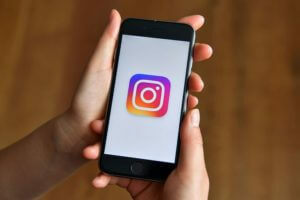 Instagram is Facebook’s image-and-video-heavy social media platform. Its user-experience (UI) is fairly simple. You post an image and it appears on your profile page as part of a 3 x ∞ grid. Then it will show up in your followers feeds, too. If people come across your images and videos and like what they see, they can follow you. Follows are independent of each other, therefore someone can follow you without you having to follow them back. This is different than Facebook or LinkedIn where you can only connect with those who agree to a mutual connection. Because of this, you can have a lot of strangers following you on Instagram. 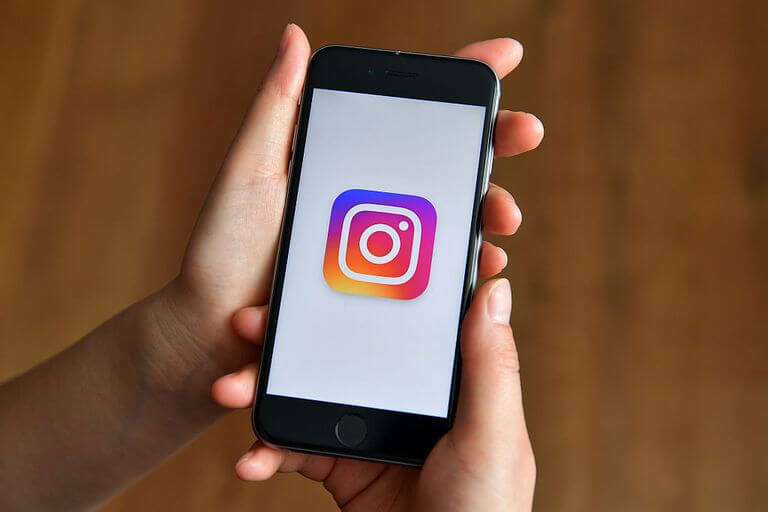 This is what makes Instagram such a great digital marketing tool. With each image, you can leave comments and include up to 30 hashtags. These hashtags act like “mini billboards” promoting your images beyond your follower’s feeds. In your profile header, you can have a link to your website, or in this case, to your Amazon Storefront or product page. Each time you follow someone else on Instagram, you’re saying, “Hey! Look at me!” Because that person will get a notification that you’ve followed them. Out of curiosity, they may even check you out. Then, if they like what they see, they’ll follow you or click your link. My own Instagram page… I love Instagram! I love Instagram. 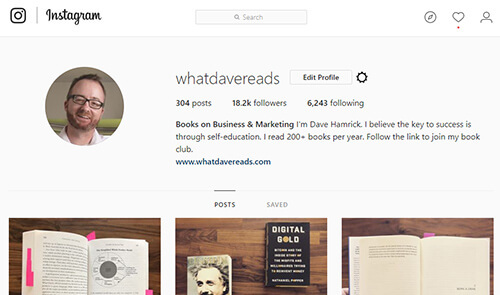 Just last year, I started my Instagram account to promote my love of business books. As of this writing, I have over 18,000 followers. Each one of these followers is real, too, not just some “robo-follower” I paid a service for. These days, I get nearly 200 followers a day. Plus, I get great engagement, plenty of likes, and most importantly it sends a ton of traffic to my book-centric blog. In fact, every time I put up a post (just added one today) I got 80+ likes within 20 minutes, 4 comments (which I quickly answered, of course), and 5 or 6 clicks on my link. From those clicks, I’ll get email opt-ins to my blog where I can sell back end products. All of this from roughly 15-30 minutes of work a week. A brand I’m a big fan of, Get It Right’s products are prolific sellers on Amazon. 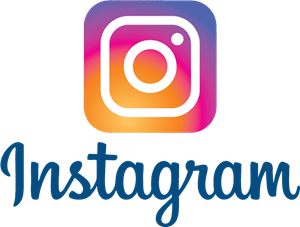 Here’s a quick how-to on Instagram digital marketing. Appearance is everything on Instagram. 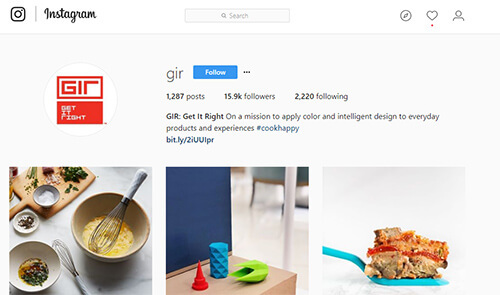 Make sure that your Instagram page is very neat, has great copy in the profile, and has a name that makes sense. Be sure that the profile photo is relevant to your brand, too, either one of your products or the logo itself. And be conscience of how your “grid” looks. I take all my book pictures on my kitchen counter. I’ve seen others do “checkerboard” style, alternating between black and white backgrounds. Others just make great photos and use the same filters each time. It may seem tacky to follow people just in the hopes that they’ll follow you back, but there’s no better way to get people to follow you back. Remember: every time you follow someone, they’re going to get a notification and chances are that they’ll follow you back (I get about a 30% return on mine). You can only follow up to 7,500 or so people, so inevitably, you’ll have to unfollow a few. You get 30 hashtags… use them all. Each hashtag puts you in front of a new market. What’s cool is that Instagram actually tells you how many people have used particular hashtags within the last 90 days or so. I aim for hashtags that have less than 1,000,000 listings and more than 100,000. That way, my stuff’s not getting lost in the shuffle. Not everyone that follows you Instagram is going to drool over your content. But those that do like your stuff, be sure to respond to them and let them know you care. I try to reply to every comment that I get (even the weird ones). Same goes with DMs. Remember, those DMs are a direct connection to you and your customer. Create new content at least once a day. There’s no limit too how much you can put out content on Instagram. Early on, I put up 5-6 posts per day. These days I do only one or so every couple of days. I recommend starting out that you try doing at least one post per day. It helps build your brand and demonstrate the value of what you’re selling. Promote the benefits, not the product. Remember, nobody buys a kitchen knife because it’s an 8″ hunk of metal with a pointy end. They buy it because they can make awesome meals for their family. Or because it looks great hanging from a magnetic strip in their farmhouse kitchen. You’ve got to jab jab jab and demonstrate your value before you can throw those right hooks and go for the sale. This rule is somewhat universal no matter which digital marketing method you use. Blogging is writing about a topic in an online publication. Typically, the intent of most blogs is to convey information to a particular market. In addition to traditional written blogging, there’s also vlogs (video blogs) and podcasts (audio blogs) which follow the same strategy of creating new content to reach and grow an audience. Blogging has tons of great uses. Obviously, it delivers great information to the reader. And this helps keep readers engaged with your brand and products. But it’s more than just that. Also, blogging works as a search engine optimization (SEO) tool. Each blog post is like a tiny seed you plant into the search engines. Over time, those seeds grow into a great marketing forest. When strategically tied to a specific keyword or search term, it can help new readers/listeners/watchers discover your brand and products. But just like a forest, it can take a lot of time and work to get a blog going. Additionally, the content of the blog can be used in exchange for a lead’s information. This method of blogging is sometimes known as a “lead magnet.” In other words, you’re telling the lead “if you give me a way to contact you, then I’ll give you this great piece of content and a lot more.” Once you have a lead’s information–whether it’s an email or a phone number–you have a way to consistently demonstrate value and make sales pitches. These are awesome tools for building marketing lists which you can later use for new product releases. A blog post can work as a sales pitch, too. By demonstrating your authority on a given subject and illustrating the benefits and purpose of a product, you can influence leads to make purchases. One of my old blogs. I’m creating a new post that will hopefully drive some traffic to my site! I’ve been blogging for a few years now and I’ve had a lot of success with a few different pages. Before coming to Jungle Scout, my top blog converted 50-100 prospects into email leads each day. From there, the blog content would create sales on the products I sold. Both of my Amazon brands have blogs attached to them, too. In each of my products, I offer something free–that’s a lead magnet like I mentioned–on my site. When the lead hits the site, I offer that free information so long as they give up their email. Then, in an automated email newsletter (a big part of blogging and a must for any digital marketing strategy, by the way) I send more useful information to continue to build brand trust. Not only can you sell your own products with a blog, but you can also pitch the products of other companies. By sharing special links called “affiliate links” in your blog posts, when a reader clicks on the link and makes a purchase, you are paid a commission by that other company. Plus, Amazon has a huge affiliate marketing plan called Amazon Associates that’s pretty easy to sign up for. What’s crazy is that you can use affiliate links on your own products and get paid twice! Knife manufacturer Habitat demonstrates how to use their knives on YouTube. You don’t have to be a web genius to do it, either. 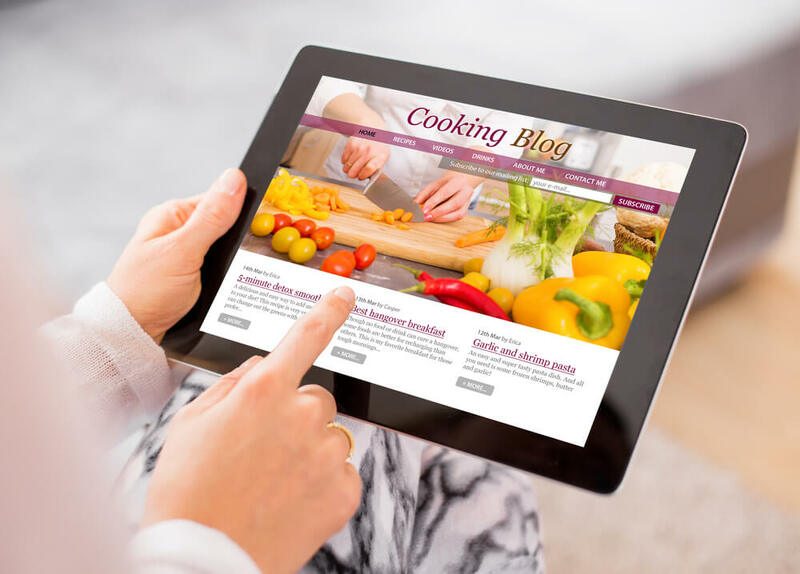 There’s plenty of WYSIWYG CMS (what-you-see-is-what-you-get content management systems) tools out there that make creating a basic blog super easy. 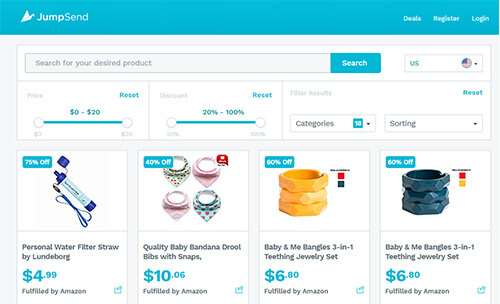 You can use WordPress, Shopify, Wix, Weebly or whatever service works best with you. Another thing to keep in mind, when you need to register your brand with Amazon, you’ll need a website anyways. If you’re a fast typist (like me), then definitely go for the written version. But if you do better in front of a camera, create videos. And if you just like to talk, create a podcast. You can always try other methods, but I’ve found it’s best to double down on what works and cut what doesn’t. Each time you get an email from a fan and their permission to use it, you’re saving yourself a ton of money in advertising and marketing costs. After all, so long as that person follows you and reads/watches/listens to your content, you don’t have to fight to get that lead again. And if you have a brand strategy where all of your products work complementary with each other, then you may have a potential buyer that’s only an email away. Once you’ve got a blog going, you will need to keep people engaged and reading. Additionally, each piece of content works as a way to attract new readers/listeners/watchers. The more content you have out there, the better chance you have of getting noticed in the search engines. It’s not enough just to post information. Whether it’s attracting new followers, engaging with current followers, or trying to make a sale, your post needs to have a purpose. Blogging only takes about 30-60 minutes per week to do well. While the results are slow, in the long run it pays in spades. Believe it or not, I have sites that are still making sales long after I’ve stopped writing for them! 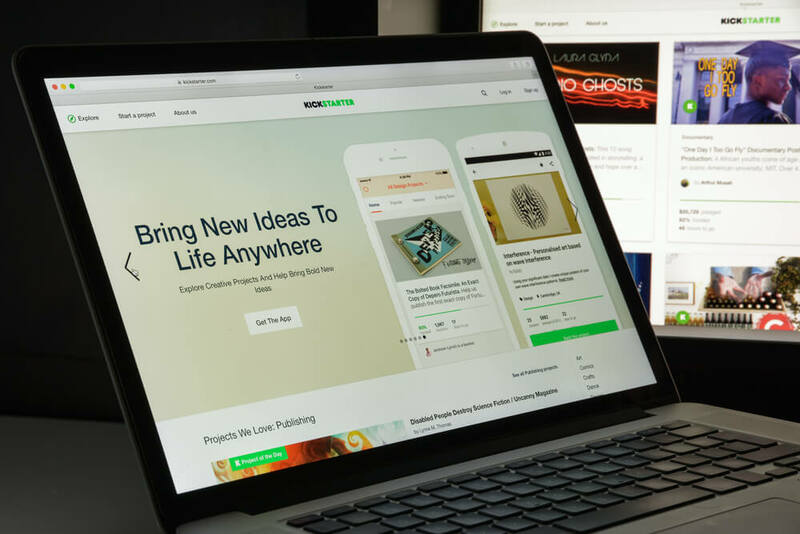 Kickstarter is a popular crowdfunding platform, a website that allows creators to create campaigns in order to promote products that they’ve designed but not yet manufactured. These products can be feature films, comic books, board games, or in our case, Amazon private label products. Each Kickstarter campaign creator sets a monetary goal that must be reached in order to successfully manufacture the product that they are promoting. To help reach this goal, users (called backers) donate funds in exchange for future rewards. These future rewards are often the product itself which the backer receives once it’s been manufactuered. In the last year, I’ve directed a lot of would-be Amazon sellers to launching their products on Kickstarter first for multiple reasons. There are some huge advantages to using Kickstarter to launch a product. First, it helps Amazon sellers raise the requisite funds to manufacture their product. While the costs involved with becoming an Amazon private label seller are mundane compared to many traditional businesses, not everyone has a few thousand dollars to import goods from China just sitting around. However, with Kickstarter, an aspiring seller need only spend a little bit in marketing and advertising (or nothing at all if they use some of the strategies described in this blog post) to earn those funds in advance. It also predicts demand. Just because you have a product that you’re in love with, doesn’t mean that everyone in the world with a wallet feels the same way. Using Kickstarter, you can really test the waters. After all, if they’re willing to give you the money months in advance of receiving the product, obviously it’ll be easy to sell it on Amazon (when they only have to wait 2-3 days). Imagine creating an Amazon product that’s already got a loyal fan base following it. If you made those backers that supported you during the crowdfunding stage happy, then they’ll show their appreciation by giving your product early reviews and spreading the word. Recommendation: if you’re going to fund your product through Kickstarter, make sure that you’re sending the backers their rewards before it shows up on Amazon. Selling stuff from Amazon before your early adopters get theirs is a great way to turn your fans against you! Finally, Kickstarter greatly reduces risk. While good research will always help you sell a good Amazon product, every now and then–for whatever reason–products crash and burn at launch. So instead of spending $5,000 on a product that might not succeed, you’re spending $500-$1000 on marketing for Kickstarter. Then, if the product does succeed, your direct out-of-pocket expense is much lower! My Kickstarter profile. I’m a big supporter of projects. Full disclosure: this is a pretty new method for me. But it’s one that I’ve heavily researched over the last six months. However, the list of brands that got their start on Kickstarter–sometimes with fairly mundane products, too!–is incredible. I’ve discovered water bottles that raised $40,000. There’s kitchen knives that raised half a million. And I’ve found silicone spatulas that sold for $25/each–no joke! And let’s not forget about Cards Against Humanity, Amazon’s #1 selling toy & game for years. Yep, it’s a private label product. Going forward, every product that I launch on Amazon will start with Kickstarter. In fact, I’m considering putting reorders on the platform, too. I’ve discovered that products that sell well one day might not always sell well forever. Therefore, by reducing my product risk right up front, the market can tell me matter-of-factly whether or not I should re-up a particular product. Cards Against Humanity got its start on Kickstarter. It now sells 3,000+ units monthly on Amazon. In addition to the product itself, you will need to offer a lot to the early adopters that support your product. You can do this with the product itself, or you can even incentivize with stretch rewards. Additionally, you might consider offering the product for less than what you intend to sell it on Amazon for. Everyone likes a deal. Back when Kickstarter started in 2009, sure, you could totally get away with a half-assed campaign. Nowadays, Kickstarter’s 50 million loyal fans expect a whole lot more. If you’re a first time campaign creator, you need to look like a pro. And there should be no mystery with your product. That means everything must be finished save for the production run, and even then, you should know what those costs will be down to the nickel. You should have prototypes, photos, graphics, costs, prices, and times lines all done and ready to present. Kickstarter, like Amazon, has tons of market trust. Every Kickstarter page is a landing page with the intent to sell a product. But that doesn’t mean you don’t have to earn the sale. Remember, these are products that the backers won’t receive for a few months while it’s being produced. You’ve got to give them a great reason to whip out their credit cards (or PayPal accounts) and fork over their hard-earned dollars and wait. If you’re concerned about what it takes to create good copy, simply find another successful campaign and emulate what they did. Most successful Kickstarter campaigns shoot for $5,000 – $15,000 as the goal, especially for rewards that fall in the $20-$50 range. Any more than that and you might not raise the funds. After all, backers want to see the goal met. For example, setting a $100,000 goal for a $20 pair of wooden salad tongs is a pretty lofty goal. “There’s no way that this campaign will reach this,” says your potential backer, before moving on to something else that’s more likely to get funded. Inversely, any less than that shows that you might not know what the real costs are. These folks are going to be obsessed with you and your product. So you’ve got to offer plenty of information to keep them involved. 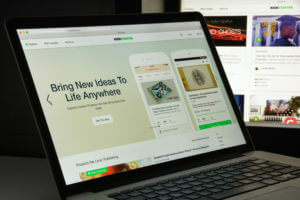 Kickstarter offers tons of ways to keep them in the loop, with updates, mailing lists, and more. This isn’t only when the campaign is running either. When the campaign finishes–and especially if it’s a success–you’ve got to keep them hooked. These are your early adopters, and hopefully, your evangelists. The more you reward them for their involvement, the more dividends it will pay when your product is live on Amazon and beyond. An influencer is a digital personality whose opinion carries a lot of weight with a particular market. 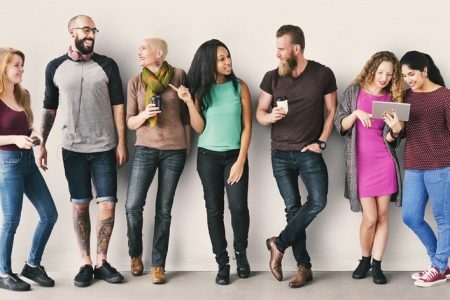 Influencers can be titanic digital personalities like Tim Ferriss, Gary Vaynerchuk, or Kim Kardashian all the way to more intimate evangelists like a stay-at-home mom with a few thousand Instagram followers or a gym rat with a popular blog on supplements. An influencer with a great track record can help get the word out about your Amazon products. Your target influencers may have tons of followers on social media. Perhaps they’ve got a huge Instagram following or a ton of fans on Facebook. They might have a popular board on Pinterest or a lot of pull on LinkedIn. 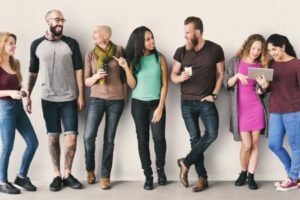 In addition to social media presence and content marketing, the influencer may have a huge list from which they can draw upon. As I wrote previously, a great mailing list can do wonders for any marketing campaign, and if you’re lacking one of your own leveraging the list of a popular influencer could be the way to go. 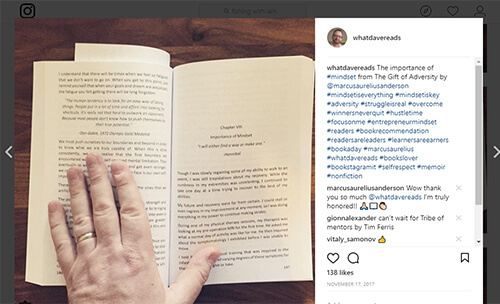 Here’s me as an influencer, promoting Marcus Aurelius Anderson’s The Gift of Adversity. All it took was him asking me in a DM. I kinda stumbled into the world of influencers. I blame my Instagram profile. And I’ve mostly been on the other side of the fence, too, influencing for others moreso than having influencers work for me. Regardless, each time someone sends me their product (in my case, I get a lot of free books) I do my best to promote it. And most great influencers will do the same for you. For my own products, I’ve had some great influencers, too. And often, they want nothing more than a free promotional product. Since they’re not leaving reviews on Amazon (see deal sites below), it was totally cool to incentivize them with free stuff. 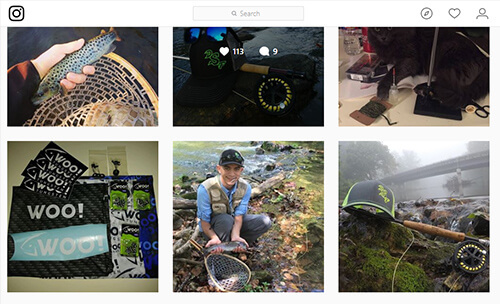 My buddy, Iain Tesney promoting products all over the place on his fishing Instagram. Legendary UFC fighter Frank Shamrock says everyone needs a +, -, = list. That means you need to find a mixed network of influencers, equal parts people you can learn from, people that can learn from you, and people that are on the same level. This sentiment is echoed throughout many of the popular gurus, too. James Altucher and Ryan Holiday both strive for this rule (both name dropped Frank Shamrock, too, by the way). Russell Brunson goes as far to say create a list of 100 people and just start contacting them. Even Tim Ferriss has his lists–what do you think his book Tools of Titans is all about? Years ago, when I was younger and had marginally more hair on my head, I booked bands for a heavy metal bar in downtown Richmond, Va. Early on, I discovered that the trick to getting great local acts to play on my stage I needed to get in good with the promoters, the folks that networked with the bands. Some of these relationships formed quickly. Others took months of glad-handing and bum-smooching. In the end, it was worth it, of course, as the bar was packed nearly every night with great (albeit loud) music and lots of bar patrons spending money. Start every day reaching out to your list. Send an email or drop a direct message. And follow up with what they’re doing, too. Don’t just make it all about you and your products. And be consistent. Consistency and commitment pays. Influencers, especially the big ones, are going to remember the ones that worked hard to get in front of them. Remember, building an effective influencer list is all about working not just with the big fish, but the little fish, too. Consider this: if you spent a year trying to get on Tai Lopez’s radar, you might have a 1% chance of having him notice you and mentioning you in one of his videos or on his Instagram. He’s got about 3 million followers, so that may earn you 30,000 new impressions. But what if you invested that same amount of time trying to get in front of 100 people with only 300 followers each? You’ll have a lot better chance getting on their radar and evangelizing your brand beyond that first contact. What are Amazon Deal Sites? Here’s what shoppers see when they hop on Jump Send. Deals! Next to Amazon and Alibaba, Amazon deal sites probably have one of the closest, symbiotic relationships with Amazon private label products and their sellers. For many Amazon strategists, offering a product on a deal site at launch is a no-brainer for a number of reasons. As you probably already know, Amazon’s algorithm selects only the products that they see as relevant and profitable to rank organically. So when a product appears on a deal site and starts shipping 10-20 units every day, you’re telling the algo that this is a product that people want. For that reason your product is quickly rewarded a higher ranking than it’d normally receive were you to simply list it and wait for sales. Organic rankings aren’t the only thing affected by product relevancy. You can throw all the advertising dollars you want at a product, but if Amazon doesn’t think it’s relevant to the keywords you’re trying to show up for, your ad will fall three or four pages behind. And that’s with the cost-per-click at the same rate as the first page! Unfortunately, the days of getting reviews in exchange for free or discounted goods are gone. Still, old school promotional buyers on Amazon deal sites will still cough up early reviews for your product. And 9 times out of 10, those reviews are good. As a bonus, you can add these influencers to your +, -, = list (see Influencers above). This happens to me all the time. First, I’ll launch a new product. Immediately, I’ll ship a few dozen promos to get things rolling. A couple weeks later, I will discover my product all over Ebay, or sometimes, even under my own listing. A big part of me says, “Well, that’s annoying.” But then I realized, “Hey… I’m getting extra benefits here!” Even if it’s not me making that second sale, it’s still my product, and it’s getting out into the market. As long as all roads lead back to me and my own marketing channels, then it’s still a win. Setting up a promotion on Jump Send is super easy. Every product I’ve released used Amazon deal sites to get the word out. And even when I’m not doing a product launch, I’m incredibly product-ranking sensitive. Using Splitly’s keyword tracking tools, if I find myself falling behind, I’ll zip out a few more deals on Jump Send to grease the wheels. 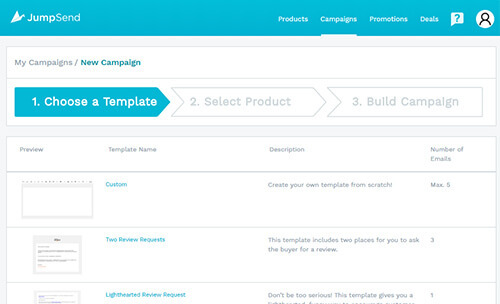 An example of a seller using Jump Send to get their product out into the world. There’s a few deal sites out there. And some of those site operators are fairly greedy. For example, one of the more popular sites (I won’t name any names but let’s just say its initials are “SS”) charges $50 for only one product–which is nuts! And that’s without offering any other benefits. Lately, my products have jumped over (no pun intended) to Jump Send where I can list 3 products for only $29.99 and get unlimited email campaigns. This would have cost me nearly $200+ using the previous software solutions I’ve dabbled with. The cheaper the product, the higher the demand, right? Well, that doesn’t mean you have to give it away, either. I find that most products–especially cool ones that I manufactured–sell pretty well when priced at $5. Now, this might not totally cover my cost-of-goods sold and Amazon’s fees, but it’s a heck of a lot better than getting hit with the loss of the unit and Amazon’s FBA cost and minimum variable referral fee. When you’re giving promotional products away on Amazon deal sites, you need to know exactly where your product lands organically each day. The easiest way to do this is using a software like Splitly that will help you track your products through your target keywords. That way, when your product starts slowing down in its climb to the first page of search results, you can stop giving away promotions and start working on your advertising campaigns instead. This could potentially save you hundreds in promotional products. Plus, there’s the psychological reward of watching the product you’ve worked hard on moving up through the ranks. Just because they purchased your product at a deep discount, doesn’t mean you should treat them any different. Be sure to follow up with them and see if there’s anything you can do to improve the experience. And don’t be afraid to ask for their opinion, too, first by email and later by seller feedback and product reviews. 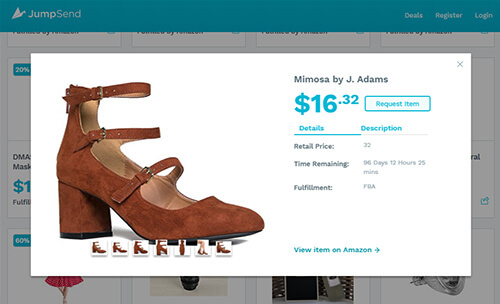 Again, Jump Send offers an easy and efficient way of sending automated messages to your Amazon customers. Of course, there’s plenty of other ways to market your product. I selected these five because, personally, they’re my favorite digital marketing strategies. And they are ones I’ve had a lot of success with. If you’d like to learn more about digital marketing and getting your product into the hands of more customers, be sure to sign up for our Genius Series where we’ll take five full weeks to discuss digital marketing strategies like these as well as Amazon PPC, promotions, lightning deals, coupons, storefronts, and more. This course is totally free. Sign up today and become an Amazon selling genius and learn how to make money from home! If you have any questions, please feel free to leave them in the comments below. Wow, impressive information on digital marketing. My only “regret” would be I’m Indonesian and can’t sell on Amazon. But at least we have some sites like Amazon too here in my country. Also, all with their PPC plan. However, the basic tutorial you give here can ia aplicable to some degree. And, the big plus is in the Instagram, the blogging and the influencer guides. I think these guides are superb!. Thanks for sharing Mr Dave! I am here in China and this is that kind of perfect article, I always thought I would miss out on – due to China Firewall!! Glad to hear you getting started in China. There’s a ton of opportunities there–in fact, we’ve actually brought on someone who’s specifically with the Chinese market. Perhaps you two can collaborate sometime? You have shared in-depth article of Digital Marketing Strategies. It is very helpful for newbie bloggers. Thank you so much for the article. I found your attention to detail and depth of knowledge of the subject matter very thought provocative. We are at the early stages of launching a new line of organic, Non-Gmo, artisan coffees, through our coffee roasting business. We will be promoting the health benefits of fresh roasted coffees, from high quality organic coffee beans, and accessories. Your article will be of much help on our journey forward. Brilliant article Dave. The Digital Marketing landscape widenes and keeping up with these dads and trends for new platforms is full time. But as you say, don’t forget the old ways, they are still relevant. Great post-Dave. Formulation of a premium quality digital marketing strategy needs some serious quality efforts to get the best outcome. Your points are especially the social media marketing strategy is very effective which I can use to get the maximum output of my marketing campaign. Thanks for this superb share. 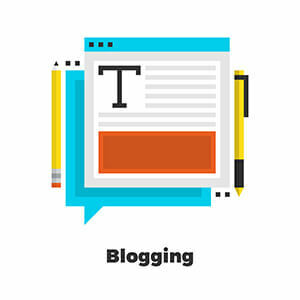 Blogging is a very important part which plays a very important role in the digital marketing strategy practices. It enhances audience engagement and community build-up process. More engagement means successful conversions on a digital campaign.